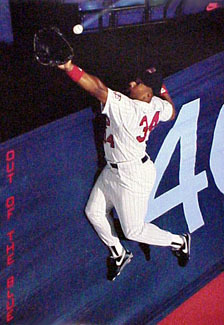 It took me a while to forgive Kirby Puckett for the 1991 World Series. I think I finally got over it around 1998; by that time I had a whole list of teams and people (damn you, Jim Leyritz) to blame for the Braves' many failures in the post-season. So it's sad to see him go, a man so young, so gifted, so huge a part of baseball in the late 20th Century.